To place an order just make your selection, fill your shopping cart and check out. Or call us at 1-770-561-7019 during our normal business hours. Our skilled representatives will be happy to assist you. Sales Tax There is a 7% sales tax on orders shipped to Georgia addresses. Tax is charged on shipping charges when the item is shipped to a Georgia address. All other states are tax exempt. Shipping fee is 9% of the order total (excluding tax) plus $7.00. This excludes furniture, rugs, etc. Hawaii, Alaska & International Shipments: We are pleased to ship internationally and the shipping charges are determined on an individual basis. Since shipping costs vary based on location, we request that before placing the order, call 1-770-561-7019 to receive an estimate shipping cost to confirm you do indeed want to proceed with the order. Once the item has been packaged and shipped, another transaction will be placed on your credit card with the exact amount of the shipping and an e-mail will be sent informing you this along with the actual cost of shipping. Express ShippingIf you need express shipping, please call 1-770-561-7019 to request a rush order. At this time, we will give you an estimated price for One Day Express and Two Day Express and ask if you would still like to proceed. The orders must also be placed before 1pm (EST) for next day shipping. Once the item has been packaged and shipped, another transaction will be placed on your credit card with the exact amount of the express shipping and an e-mail will be sent informing you of this transaction along with the actual cost of shipping. Return the product to: 111 Brenau Avenue, Gainesville, GA 30501 (please keep your receipt should you need to track your package). Remember to insure it for full value. The customer remains responsible for both outgoing and incoming shipping charges. Shipping and handling charges are non refundable. Shipping and handling charges will be applied to all exchange orders. For other information on returns, please call 1-770-561-7019. The Crystal Plate is located just off the square in downtown Gainesville. 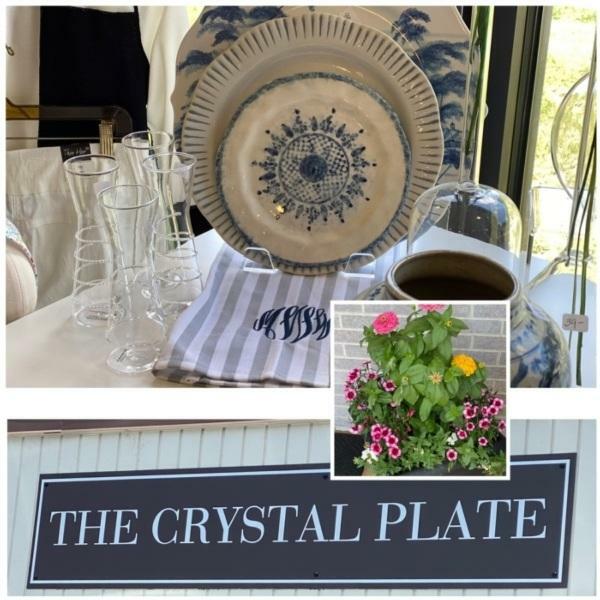 We have over 120 different china patterns, stems of crystal, silver and stainless flatware, entertainment-ware, and many more items that will complete your registry or help when purchasing a gift for wedding, graduation, baby, anniversary or birthday.